On November 2, 2017, the Speaker of the House, with the backing of the President, finally introduced the long-awaited bill that represents Republican efforts at comprehensive tax reform, to be titled the “Tax Cuts and Jobs Act”. Of course, the Senate will propose significant changes, and there is opposition from both parties about the direction of the bill and the trillions it could add to the national debt. That said, there is a very strong chance of something close to the bill being passed this year or early next year. What are the proposals and how should business owners plan for the potential changes? If passed, the estate tax exemption would be immediately increased to $10 million per taxpayer with inflation adjustment, estimated at $11,210,000 for 2018 (from the current $5.49 million), with the estate and generation skipping transfer tax (but not the gift tax) repealed starting in 2024, all while keeping the generous step up in basis rules at death. With Congressional elections every 2 years, and Presidential elections every 4 years, it’s hard to predict the fate of the estate tax. Business owners with wealth over $5 million per spouse should probably continue to use discounting and freezing techniques on the assumption of there still being an estate tax around. 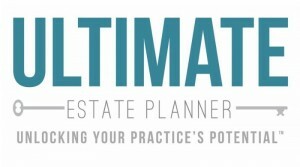 With flexible enough provisions in the trust, such as formula powers of appointment and amendment powers, the main downside is the costs and hassle, but the upside of such planning could be millions saved by advance planning if the estate tax is still around. For business owners with wealth well under $5 million per spouse as well as those with over, further attention should be paid to making their trusts more income tax efficient, which may even include upstream planning to maximize the step up in basis for the family’s assets at the death of older relatives. If passed, the reform will result in the biggest tax change in generations for pass through business owners (S corporations and LLC/LPs taxed as partnerships or sole proprietorships), as well as C corporation owners. The top rate for C corporations would reduce from the current 35% to 20% (25% for personal service corporations). Pass through entity owners would fare equally well – the top rate for such income would be 25%. There are numerous complexities to it, however, which are well beyond the scope of this article. Many actively participating owners, especially in fields such as law, accounting, consulting, engineering, financial services, or performing arts, would unlikely be eligible and some may only be partially eligible. If passed, the reform may provide a strong disincentive for business owners to fund retirement plans for themselves (unless it is a Roth). Currently, an owner in a higher tax bracket generally assumes that they will be in the same or lower tax bracket upon retirement. Provided the investment returns are positive, such deferral always makes sense, even if retirement is only a few years away. If reform is passed, however, the business owner may be trading 25% pass through business income under the new regime for a 39.6% top ordinary income rate upon retirement! The differential could easily be close to 20%, considering that Ohio also has a reduced rate for pass through business income (0% up to $250,000, or 3% above that) but not for retirement income (4.997%). An Ohio business owner retiring in a few years may not want to defer income being taxed at 28% (25% federal plus 3% Ohio), only to be taxed on it a few years later at up to 44.6% (39.6% federal plus 5% Ohio)! The owner should consider changing any standard 401(k) contributions to a Roth 401(k). If passed, the reform would eliminate many business deductions, such as the educational assistance deduction to employees, exclusion for employee achievement awards, exclusion for dependent care assistance programs, exclusion for qualified moving expense reimbursement, exclusion for adoption assistance programs, domestic production activities deduction, deductions for entertainment or recreation activities, and would limit like-kind exchanges to real property transactions. Many credits would be repealed as well, such as for clinical testing expenses for certain drugs for rare diseases or conditions, employer-provided child care credit, the rehabilitation credit, the work opportunity tax credit, the new markets tax credit and the credit for expenditures to provide access to disabled individuals. 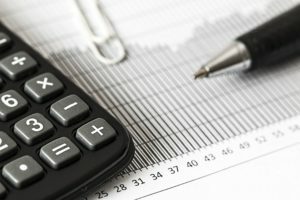 If there is a plan to make any such expenditures early next year, such as reimbursing some employees for a fall semester class at University of Cincinnati, or adding disability access to a building, owners might consider whether to accelerate the expenditure to ensure the credit or deduction. So exchange that fleet of cars, give out those employee achievement awards and hold the big holiday party in 2017 like it’s 1999! If passed, every business, regardless of its form, would be subject to a disallowance of a deduction for net interest expense in excess of 30% of the business’s adjusted taxable income. Small businesses with average gross receipts of $25 million or less would be exempt from the interest limitation rules. With interest rates low, this may not have a strong immediate impact, but would discourage overuse of debt-financing for middle market businesses. If passed, the limitation on the amount that could be expensed under Section 179 (tangible personal property, certain off-the-shelf computer software, qualified leasehold improvement property, qualified restaurant property, and qualified retail improvement property) would be increased to $5 million (from the current $500,000), and the phase-out amount would be increased to $20 million (from the current $2 million). This article only scratches the surface of a very substantial attempted overhaul of the tax code applicable to businesses. Deferring income into the following year is nearly always good planning, but may be much more so this year if reform is passed. That said, significant changes to the bill, or even failure of passage, are altogether possible. There are dozens, if not hundreds of special-interest and not-so-special interest groups that vehemently oppose portions of the bill, or even its overall effect on the deficit. So, keep your powder dry and your planning flexible. It’s going to be an interesting 2018 for business owners and their tax professionals! 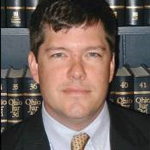 Edwin Morrow, J.D., LL.M., MBA, CFP®, RFC® is a board certified specialist in estate planning and trust law through the Ohio State Bar Association. He is currently the Director of Wealth Transfer and Tax Strategies for the Family Wealth Advisory Group at Key Private Bank. Ed works with family wealth financial advisory and trust teams nationwide, assisting with in-depth reviews of high net worth clients’ estate, trust, asset protection and tax planning. Prior to joining Key Bank in 2005, Ed was in private law practice in Cincinnati, Ohio, concentrating in taxation, probate, estate and business planning. Ed can be reached by phone (937) 285-5343 or by e-mail at Edwin_P_Morrow@KeyBank.com.